In a delicate moment of history between the 14 th and the 15th century angela was a friend and a mother to many. in her ,the tension of being an instrument of peace and unity and to participate through work and suffering to the social and ecclesial life of her time was very strong. thanks to the intense relationship with god founded on the listening of sacred scriptures and the eucharist and to the dialogue with men and women of her time, angela gave birth to a foundation strongly innovative and original. on the social level affirming the right for women to choose their own life and on the spiritual level emphasizing the dignity and the richness of the feminine genius. Angela Merici was born in Desenzano di Garda in 1474. Giovanni, the father was a citizen of Brescia. Catharine de Bianchi came from a distinctfamily from Salo`. Angela lived with her family, three brothers and a sister. ideals for her life. Angela was endowed with an open and a lively intelligence; she learned to read and to know Sacred Scriptures well.intelligence; she learned to read and to know Sacred Scriptures well. She had a delicate beauty, a unified and strong personality which gradually developed in a harmonious and original way. The solid formation to human and Christian values which she had received from her family permitted her to overcome the various trials that life presented to her, among which was that of the loss of her parents and her sister in a short span of time. many: Gabriele Cozzano, secretary to Angela and chancellor of the Company; Isabetta Prato, noblelady who welcomed the first group of members of the Company in her house; the family Chizzola in which Giacomo a juryman and diplomat had been chosen protector of the newly born Company; Agostino Gallo an agriculturer; Girolamo Patengola, nephew of Caterina Patengola to whom Angela had brought consolation; Giovanni Antonio Romano a business man and friend of the family Patengola. Agostino Gallo recalls that many referred to Angela to put peace between husband and wife, between father and children, among brothers, among various members of the same relatives; asked her advice for making a will, to strengthen new family bonds, to face the difficulties of life. Angela welcomed, listened ,answered: it was a sort of personal catecheses capable of adapting to the measure of the other; at the same time it was a spiritual direction and a human encounter. Young people and adults, cultured people as well as humble ones, clergy, princes and people in Authority visited her house several times. To the lay of good will, desiring clarity and in need of certainty Angela preached faith in Almighty God. these people would receive comfort and counsel. When she was about seventeen a few years beyond adolescence she had to transfer her house to that of her maternal aunties in Salò together with her younger brother. Here, Angela had the possibility to be in contact with a worldly and agitated life which did not attract her at all. She became a Franciscan tertiary not only because the ideal of St. Francis of Assisi attracted her but also to be able to benefit of these spiritual privileges such as frequent Communion which was not permitted in those times for the ordinary lay. And it is for this fact that in the iconography of that époque Angela is presented very often in the tertiary habit. of her time deprived of all civil rights and of the freedom itself of choice. position of servants. After some years spent in Salo` Angela returned to Desenzano looking after her house and her fields. She acquired a profound maturity, fruit also of her relationship with God through prayer and penance lived as a “ necessary thing, means and way” to educate and make the desire grow towards a unique centre “ Jesus Christ” The tragic events of her time (wars, hunger,devastation) even touched Desenzano. Angela was a friend and a mother to many. She lived the ideal of maternity as a possibility for welcome and to make the other live and grow. Tradition makes reference to this fact: one day in one of the areas close to Desenzano called “Brudazzo” during a break from the work of the fields, while she was secluded to pray, she had a “vision” a ladder united heaven to earth and many young women and angels were going up and down. Angela perceived by intuition the mysterious and wonderful message and she buried it inside her.. A reality which united heaven and earth was calling her with power. But how? Where? When? Was it perhaps a dream? In this way a journey of an interior search on whatever God wanted to realize through her began. 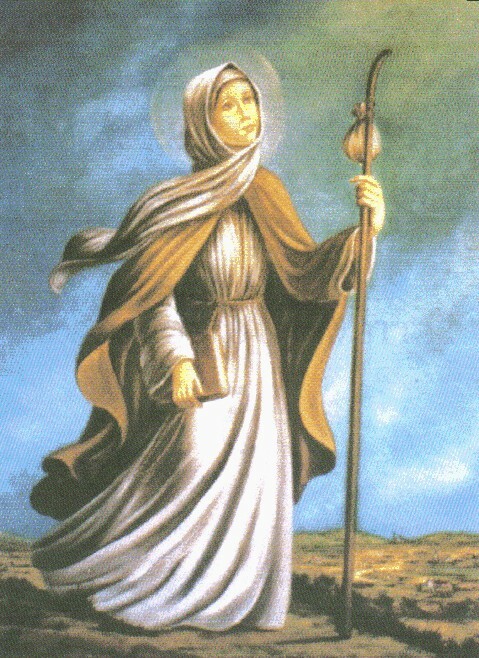 In 1516 the Franciscan friars asked her to transfer her residence for Brescia to be near Caterina Patengola who had recently lost her husband and her sons. Angela was available and from that moment Brescia would be her town; here, very soon she would become the spiritual animatress of a laity rich in good deeds and initiatives in favour of the poor and the least in society. After 1520 it was for Angela the time for pilgrimages which according to those times they were in the form of penance, besides being walks of research for the will of God. In 1524 she travelled to the Holy Land. In this pilgrimage we can see the courage and audacity of a woman which nothing could stop her in the face of six months of fatigue and risks of all sorts. 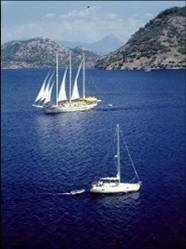 Such a voyage in the 5th century was truly an effort of resistance, physical as well as psychological, and more so for a woman. For the Jubilee of 1525 she was a pilgrim in Rome. The Pope invited her to stop in the city to be a benefit in charitable works. Feeling that the place of her mission was in Brescia Angela did not accept the proposal of Pope Clement Vll and returned to Brescia with the blessing of the Pope. Returning to Brescia she continued to cultivate relationships and friendships with men and women, religious and laity of different ages and social status. For this she was admired for her openness of soul, wisdom and balance. From witnesses and from her own writings one could see clearly how strong was her attitude to be an instrument of peace and unity to build up reconciled relations, and how she committed herself through work and suffering, to participate in the ecclesial and social life. Both in society as well as in the Church of her own times were in need of reform: Angela tried to respond to these needs by the example of her own life. 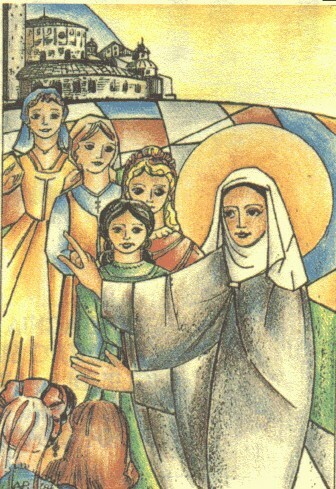 When the Holy Spirit suggested to her that the hour of realizing the vision of “Brudazzo” had come Angela gathered round her young women who like her understood, through the witness of their own life, could contribute for this “Reform”. 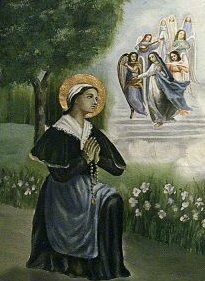 In Brescia on the 25th November 1535 Angela and 28 other women promised to follow the Lord, while remaining in the world as virgins. And to confirm their will, they wrote their names in an exercise book prepared for this purpose, in the presence of a chancellor. Thus the Company was bornto which Angela gave the name of St. Ursula as the patron saint, a saint who was very much venerated in the 5th century. The choice of this courageous saint for the Company is very significant because she succeeded to guide a very good number of companions to faith, for the offering of oneself to Christ and for martyrdom. This choice is a recall of the virgins of the matrimony with Christ and of the feminine role in the Church and the world.. The foundation of Angela suddenly presented itself strongly innovative and original in a context where youth were considered perpetual minors as women as well as Christians under the custody first of father and then the husband or of the superiors of the convent. This form of consecration gave them the possibility of realizing themselves fully as women and as Christians, while remaining in their own surrounding earning their own living, committing themselves in different human realities being at the same time consecrated to Him for good. Her genial and prophetic intuition was a forerunner of her times. In fact the Church recognized the Secular Institutes as a form of Consecrated life to God in the world only in 1947. Angela left to her “daughters and sisters” some short writings : the Rule, the Counsels and the Testament in which a pedagogical intuition of an exceptional actuality was revealed and it manifested the richness of her great spirituality and humanity. Angela died in Brescia on the 27th January 1540 and was buried in the Church of St. Afra where the remains of the first brescian martyrs are kept and that, today, it is a sanctuary dedicated to her. In a short time she was considered “Saint” by the ordinary people who knew her and loved her. The Church had solemnly proclaimed her sanctity on the 24th May 1807.